I was an apathetic child. I never cared about things like nature, sightseeing, art, or anything like that. When I was about fourteen years old, my family decided to go on an autumn camping trip to the north rim of the Grand Canyon. I was not at all enthused, but they were making me go anyway. We packed up the SUV at the start of the weekend, and I, along with my parents and older brother, were on our way. 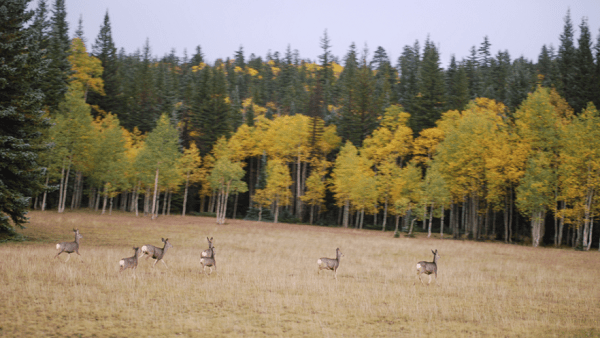 We drove until it was completely dark out, and we decided to camp near the base of the Kaibab Plateau. It was a beautiful fall night out, and it was very comfortable in the tent. I awoke in the morning to a lovely wilderness around us. We were surrounded by hills covered in shrubs. There were blue skies above us, and clouds on top of the plateau. I heard birds chirping, and an elk’s calls were echoing off of the hills. I was already enjoying nature more than I expected. As we packed up the tent in the shade of a hill, the morning sun slowly moved down the landscape west of us. We got into the car, and started driving up the plateau. 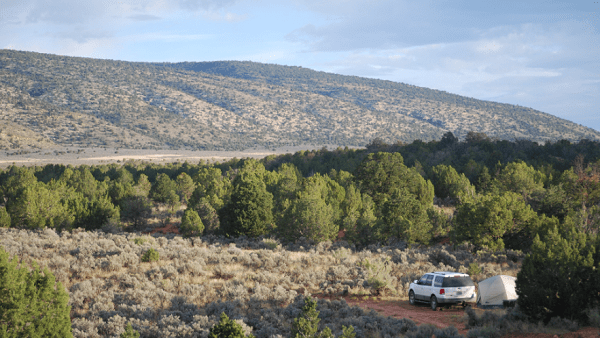 As the road increased in elevation, the dry shrubs started turning into tall pine trees. We drove until we stopped at an overlook area. As I stepped out of the car, I noticed how much I loved this landscape. It was so different from the boring desert we live in. There were tall green plants, bright fall leaves, it felt nice, and smelled fresh—but all that was not so important to me at the time—as I could not wait to see the canyon. 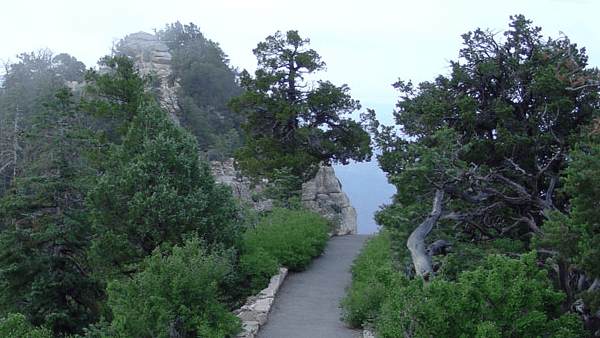 I began walking towards the edge, and the canyon came into my view as I left the tree line. It took my breath away. I had never looked at nature in this way before. I sat near the edge just staring at the landscape in front of me, the cool breeze blowing on my skin. I spent my time observing every rock formation, every plant, and every animal. I would have stayed there all day, but my parents wanted to get driving to the next location. As the day went on, the sky starting getting overcast. 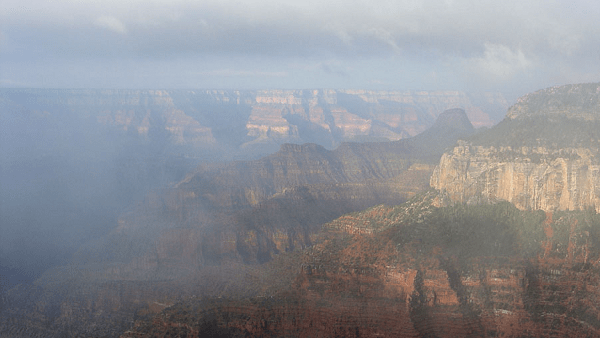 Eventually at one of the overlooks, a fog started rolling in towards us from the west side of the canyon. It was just like a river flowing through the canyon and it was one of the most awesome things I had ever seen. 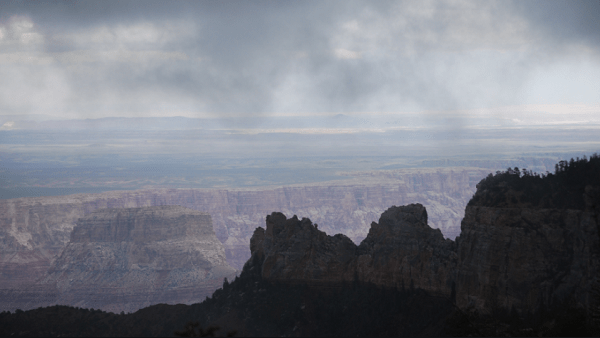 We watched it slowly creep up to us, blocking off most of our view of the canyon. It was starting to drizzle out too, so we got into the car and drove up to the visitor center, where we stayed dry under the roof watching the fog in the canyon. After that, we drove up to a long nature hike that takes you from the parking lot to the rim of the canyon. It was starting to rain a bit harder at this point, so my mother and brother decided to stay in the car, while my father and I threw on our ponchos and started the long walk up the trail, towards the canyon’s edge. It was like we were walking through a mystical grove; the rain and fog enveloping the forest of pine and juniper trees around us. We got to the edge of the canyon, and even though fog was completely blocking out the big view, it was still beautiful. We watched the sheets of fog blow up the side of the cliff—turning and spinning—as if in some sort of dance. It was at this point I started gaining an admiration for nature. We would have enjoyed the spectacle for a longer amount of time, had a booming thunderclap not happened very close to us—perhaps a bit too close for comfort. We decided to do the safe thing and start walking back to the car. As we were going down the trail, it started heavily raining, and then hailing. We picked up our pace, rushing as fast as possible to the car before we got killed by lighting or injured by hail. In our rush, we started slipping around as the trail became inundated. Another thunderclap happened close by. Close enough to leave our ears ringing. We would have started running even faster, but we were already barely keeping ourselves from falling into the mud. We ran for what felt like forever, until the car came into view through the sheets of rain. We made it to the car safely, and drove off. It started getting dark out as we drove down the winding road. Muddy water was running across, making the road slick. My father had to drive extra slow to avoid hydroplaning. Driving slow ended up being a very good thing, because as we rounded a bend he narrowly avoided hitting a boulder that had slid down the embankment into the road. He flashed his lights to avoid an oncoming car, and we continued down the road as the day drew to a close. In the twilight I caught one last glimpse of the canyon. 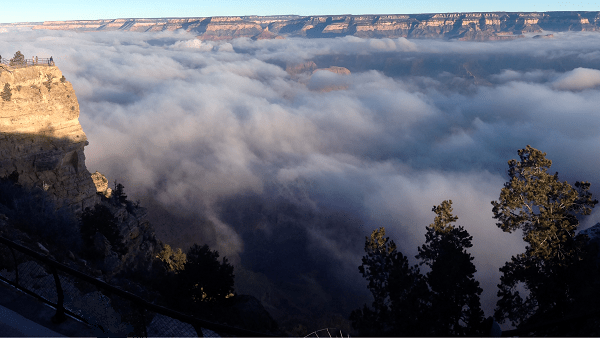 The fog had settled, and it looked like a blanket sitting in the canyon. We set up camp in the same place we did the previous night, and got an early start in the morning. As our drive home lowered in elevation, the cool shrubland transitioned into the desert I was all too familiar with. I reflected on everything I had seen the previous day. As I thought about it, I realized that I actually wanted to see more nature. Ever since that trip, I have appreciated time outside—whether it be sightseeing, hiking, camping, or just chilling in a park. 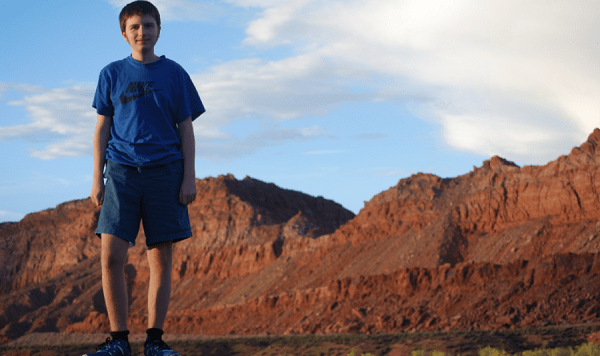 Josh is a homeschooled teen who was born and raised in Arizona.